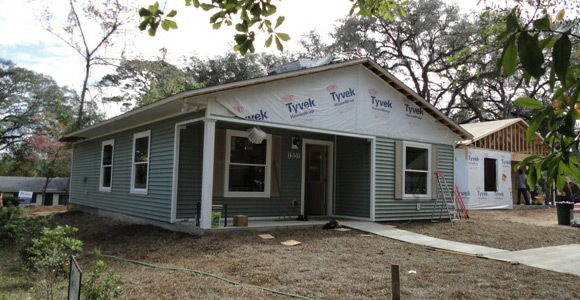 Tallahassee – Attorneys and staff from the law firm of Hopping Green & Sams (HGS) will participate in the dedication of Tallahassee’s newest Habitat for Humanity home for Betty Kendrick and her son, William, on Friday, January 13. The dedication marks the completion of a 4-month building project funded by the HGS firm and supported by more than 130 HGS volunteers. 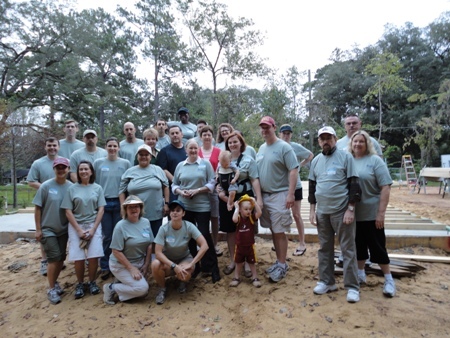 Since September 2011, more than 130 HGS volunteers committed nearly 750 total hours of service on nine work days to complete the home project. 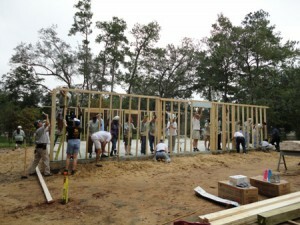 HGS volunteers assisted in every aspect of the comprehensive home build, including installation of framing, decking, trusses, doors, windows, roofing, siding, insulation, interior paint, and landscaping. 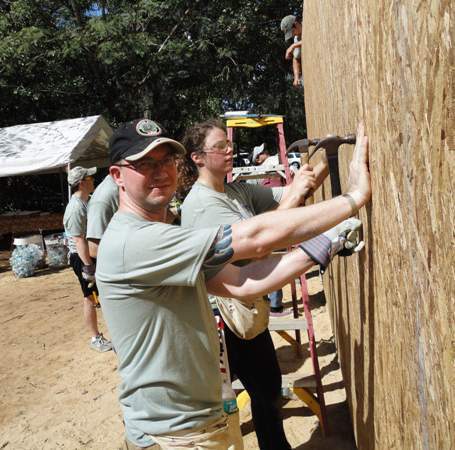 The project was also supported by the home’s new owners and volunteers from the FSU College of Law and local Boy Scout Troop 16. 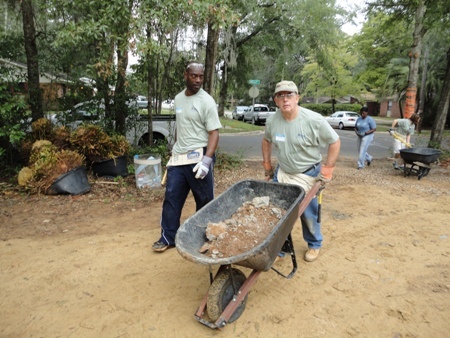 The dedication ceremony for the new home is scheduled for 5:30 p.m., Friday, January 13, at 1551 Kelly Street in Tallahassee, Florida. 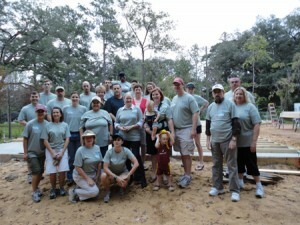 For more information about the HGS home build project, please contact Susan Stephens at (850) 425-2364.